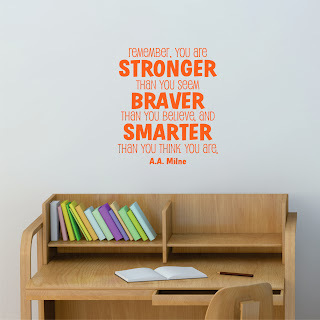 As we all know, life isn't always easy, and we could all use some encouragement in our lives. 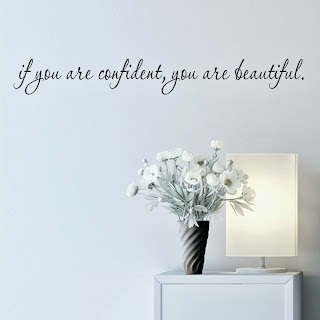 What better way, then, to get a daily boost of confidence than with one of our very own Wall Quotes™? Today, I'm sharing confidence-boosting wall art that is both beautiful and useful! 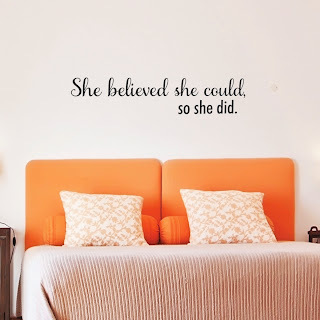 Part of our Newest & Coolest collection, this wall decal is so inspiring to girls young and old...definitely something I want to be reminded of daily. 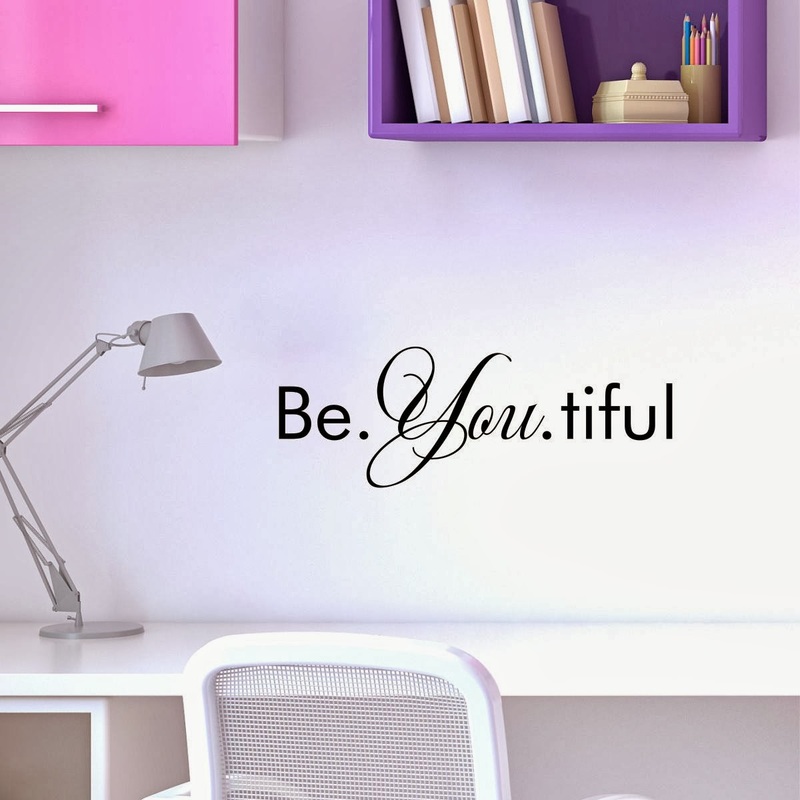 I love the combination of block and script fonts in this simple, yet beautifully stated, wall decal. 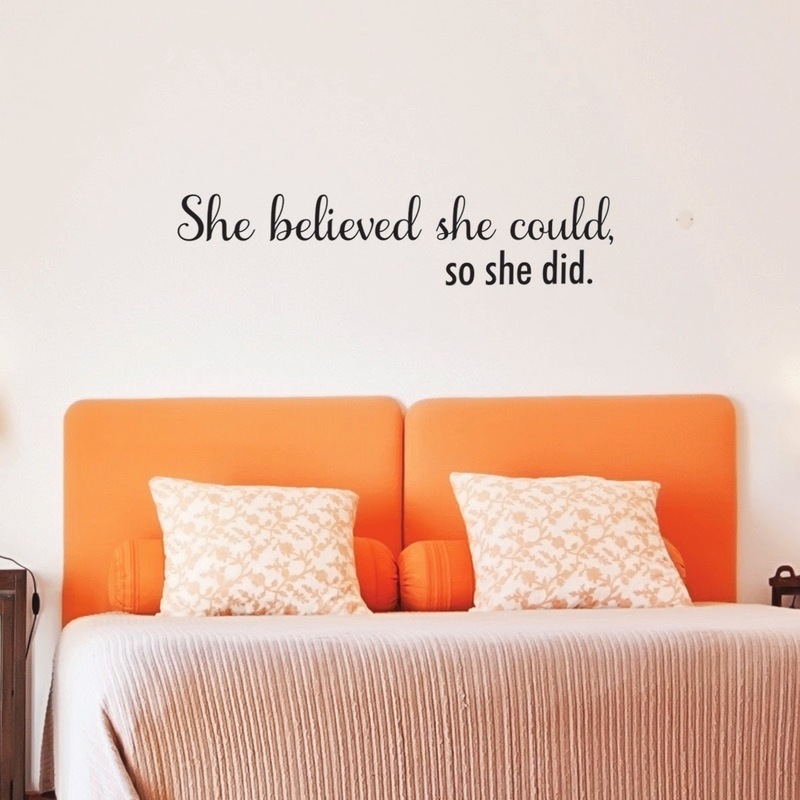 Oh, how I love this wall decal! The quote is inspiring, and the typography is modern, fun and bold. Love everything about it! 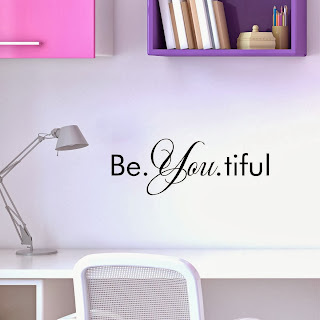 There is nothing more beautiful than believing in yourself...what a wonderful reminder for a bedroom, bathroom, or living space. Yes, yes, and a resounding YES. 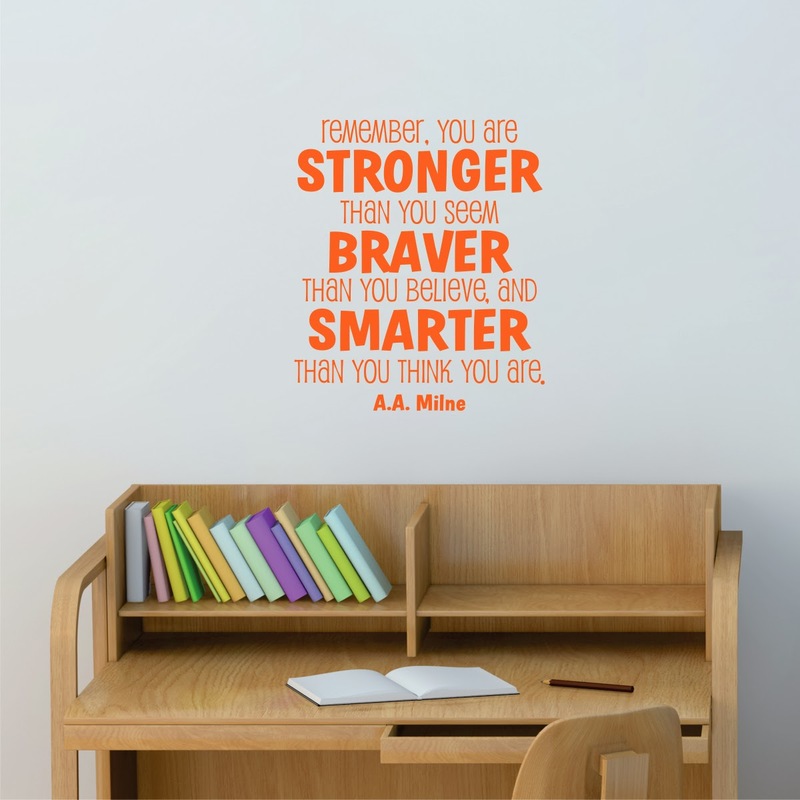 This A.A. Milne quote encompasses exactly what I want to teach my children about themselves...and it's a great reminder for us adults, too! 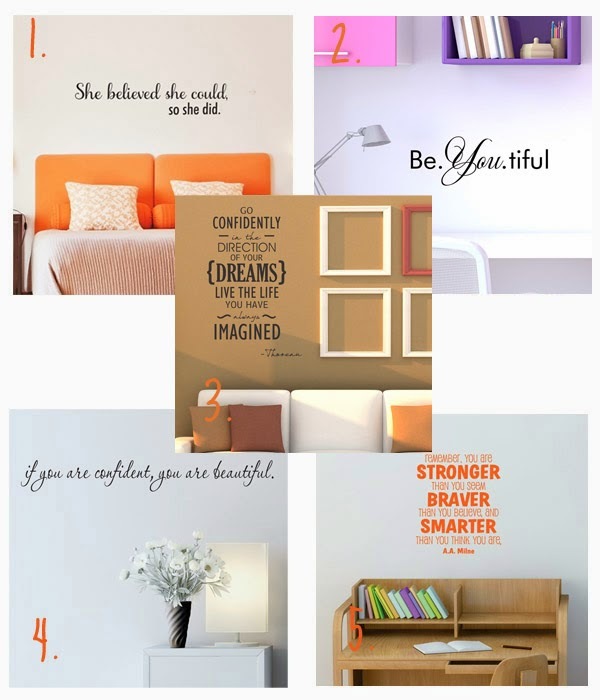 So there you have it-five Wall Quotes™ to inspire confidence! Which is YOUR favorite?